With higher output and lower watts—our best linear air pumps. 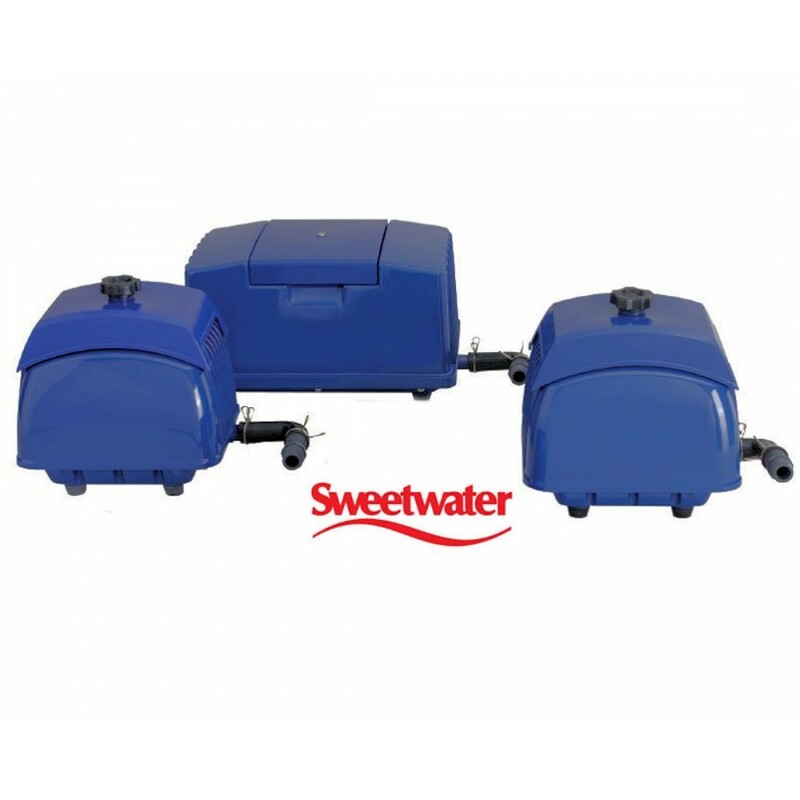 SweetWater® Linear II air pumps average about 40% more air and about 20% lower power consumption. You will see similar looking linear air pumps imported from Asia, but the Sweetwater® brand is significantly different. These SweetH20® air pumps are designed for 60-Hz (American) operation to produce maximum efficiency (we also offer 50-Hz models for export). These models permit continuous operation exceeding 3 years! Simply clean the air inlet filter as needed. There is no need for lubrication, and the outlet air is always clean. Besides being efficient,linear air pumps are quiet. You can even operate them near your house, pet store or laboratory. Each uses a heavy, cast-aluminum, dripproof housing.